Over the years since 1758 when the town was chartered as “Stephensburgh,” many people have called this place their home. The Newtown History Center has collected biographical information on a number of the town’s past residents. Here are a few of their stories. 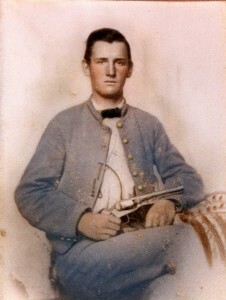 Branson Tazwell Argenbright was born 25 May 1844 in Rockingham County, Virginia. After learning the blacksmith’s trade and serving the Confederacy in Company I, of the 33rd Virginia Infantry (part of the Stonewall Brigade) during the Civil War, Branson settled in Stephensburg to make a living. His bride, Eliza Jane Reynolds, was born on 18 August 1849 in Juniata County, Pennsylvania. We do not know how Branson and Eliza met, but their marriage was performed by George A. Long, the pastor of Trinity Lutheran Church in Stephensburg, on 22 March 1870. It is possible that Newtown’s wagon making industry had attracted Branson as a blacksmith. It may have been the decline of the wagon industry after the coming of the railroad that prompted Branson to leave the blacksmithing trade and take up woodworking and furniture making. Eliza and Branson had nine children born to them between 1871 and 1891. 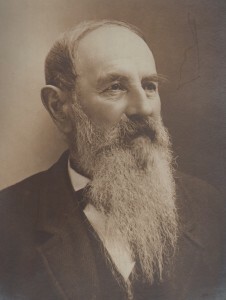 Branson T. Argenbright died 4 August 1910 and is buried at the Green Hill Cemetery in Stephens City. 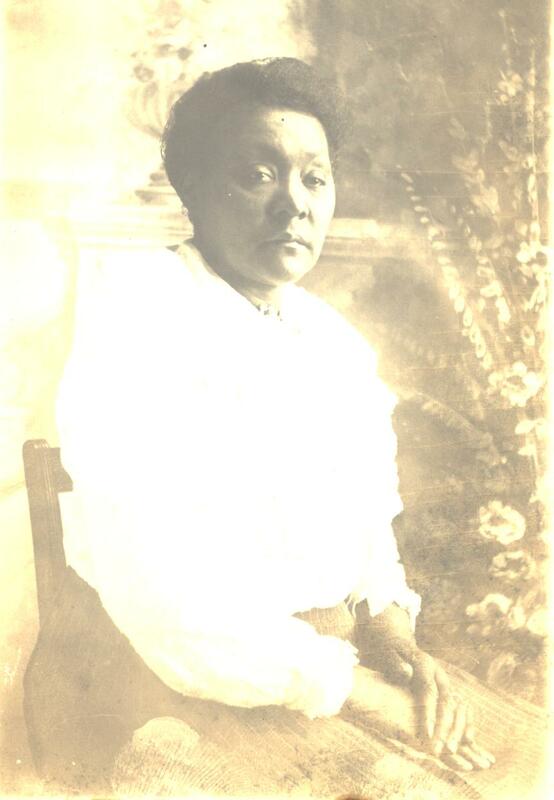 Cornelia Barbour Turner Avery was born in 1867 and was a prominent member of the African American community in the late 19th and early 20th centuries. She was married to the Reverend Robert Turner and raised eight children with him before he died in 1901. On 31 December 1913 she married Isaac Avery. When Mr. Avery passed away in 1927, Cornelia was a widow again for a second time. Cornelia Avery learned the midwife trade from her mother and used her skill to deliver children around Stephens City and Middletown. She also worked as a housekeeper and laundress for local families. She was an active member of the Orrick Chapel congregation, serving as Sunday school superintendent and organizing programs for both the children and adult members. In addition to her volunteer work in the church, Cornelia also was a member of the Loving Charity Lodge, an organization designed to help the local African American community. Her work and activism in the community earned her the nickname “Aunt Neily.” She died in 1943 and is buried at Locust Hill Cemetery in Stephens City. George Addison Grove was the son of John Wetzel Grove (1792-1873), a local militia commander and wagonmaker who, in the 1820s, helped to establish a unit called the Newtown Artillery. George A. Grove later took command of this unit when his father retired after 1850. When the Civil War broke out in 1861, George enlisted at Stephensburg in the Confederate army with other members of the Newtown Artillery. This unit was eventually consolidated with other militia companies into the 4th Brigade under the command of Col. Arnold Elzey in Gen. Joseph Johnston’s Army of the Shenandoah. We know from other local primary sources that George A. Grove was at home in Newtown during the events of late May and early June 1864, when the town was almost burned to the ground on orders from Union General David Hunter. It is likely that the forty-seven-year-old George A. Grove was among the delegation of town officials who approached Major Joseph K. Stearns of the 1st New York Cavalry to persuade him to disobey General Hunter’s orders. Prior to the war George served as a secretary to the trustees of the town, and after the war he held a number of offices, including postmaster (1881-1885), councilman, and mayor. At the time of his death he was the president of the Green Hill Cemetery, the place where his body is interred. Altha Watson Steele was born 3 January 1847. In July of that same year her father, a local carpenter named Alfred Watson, died when he was stuck by lightening while he was working. Her mother later remarried a plasterer named David Rosenberger, and the family moved to Hannibal, Missouri. 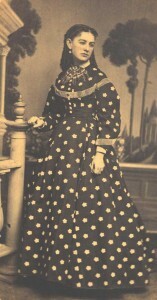 Altha and her parents returned to Newtown right before the beginning of the Civil War. After the Battle of Cedar Creek in October 1864, Altha Watson brought oyster soup to the wounded at the Lutheran church. She was so horrified at the sights that she saw there, that she was never able to smell or eat oyster stew again without remembering that terrible scene of carnage. After the war, on 22 March 1870, she married Milton Boyd Steele, a local Confederate veteran and merchant. However, Milton Steele unexpectedly died of meningitis on 2 February 1884, leaving Altha Watson Steele to care for their three children, Elmer, Cara, and Julian. Altha Watson Steele died on 12 September 1938 and is buried in Green Hill Cemetery in Stephens City. Milton Boyd Steele, the third son of the Steele family, was born on 27 February 1845. Prior to the Civil War he was a clerk at the store of the Reverend John Allemong, a local Methodist minister turned merchant. After Milton Steele turned 18 years old in 1863, he drove a wagon for Company A of the First Virginia Cavalry, during the Gettysburg Campaign. A family tradition maintains that he desperately wanted to join the combat with his fellow soldiers during the battle but his commanding officer, Colonel James Henry Drake, another resident of the town, sent him back to the wagons because of Milton’s age and lack of experience. After the war, Milton became the junior partner in a local mercantile business called Steele & Bro. with his older brother, Mager William Steele. He married Altha Watson on 22 March 1870, and together they had three children. On 2 February 1884, Milton Steele died of meningitis and was buried at Green Hill Cemetery in Stephens City. Robert Washington was born 5 February 1889. His family has deep roots in Stephens City’s Cross Roads community. 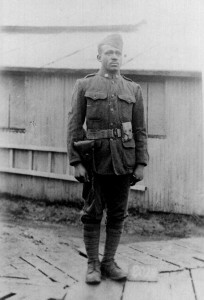 After serving in France with the United States Army during World War I, he and his wife, Mary Belle, worked for a wealthy family in Johnstown, Pennsylvania. 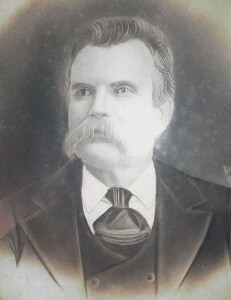 Robert and his wife eventually retired to nearby Middletown, Virginia. 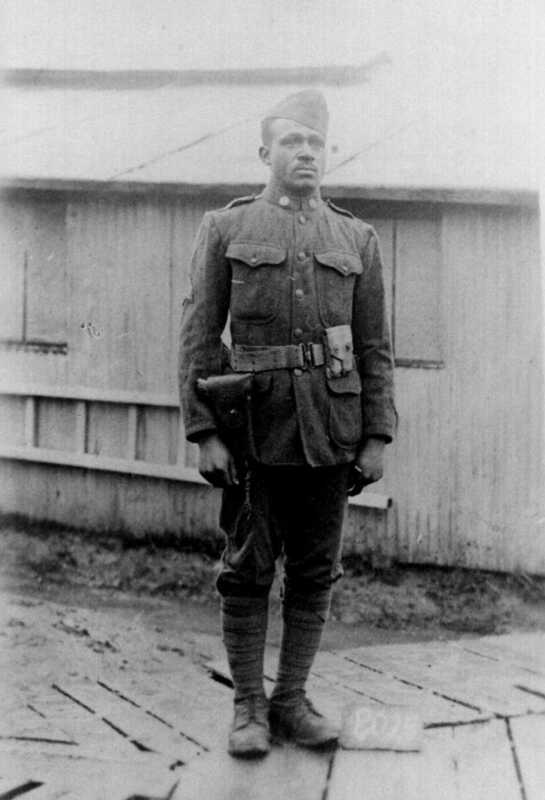 Robert Washington died 15 July 1961 and is buried in the National Cemetery in Winchester, Virginia.